We need to work out what we need to do to preserve the BBC’s early work in the Internet, and to secure the documentation which explains the history of the decision-making process. BBC Online is the third wave of broadcasting. Launched online archiving policy to understand and develop archiving models for the web. Created BBC WebArchive providing access to a working version of bbc.co.uk excluding Real Media audio-visual files but with links through to BBC News Online and access to older pages directly uploaded to the system. Established complementary hard copy filing system for Head of BBC Online. Fulfilled legal obligations - Broadcasting Acts’ 90-day requirement to keep radio and TV programmes to support the Editorial Complaints Unit and its public complaints procedure. Fulfilled BBC “Charter” obligation to maintain a broadcast archive - interpreted to include all platforms. 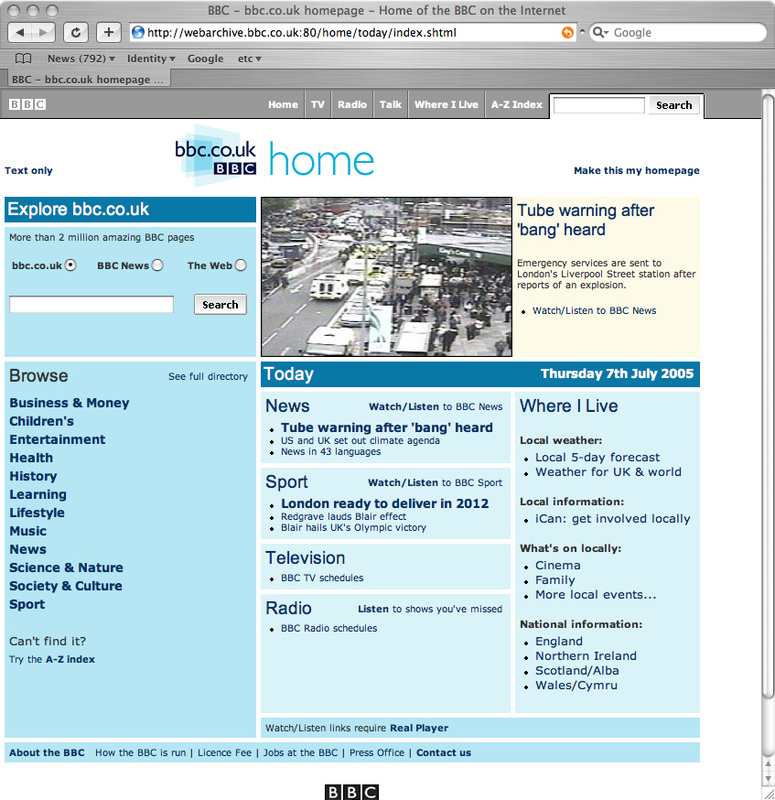 Created capability to retain websites for historical and research purposes - used successfully to commemorate the 10th anniversary of bbc.co.uk. Identified and fulfilled the BBC’s moral obligation to capture web content as cultural and socio-historical record; including pioneering technical experiments in web-archiving. Generated higher profile for BBC’s archive management culminating in the BBC’s first Online Archivist then New Media Archivist with the role extended to include all New Media platforms.